Unofficially known as the ‘hippest street in Cape Town’, Bree Street lies in the heart of the City Centre. This is where you will find some of the best-loved coffee shops, restaurants, bars and stores, along with plenty of other fascinating sights. Situated a few roads above Long Street, Bree has a central location that makes it ideal for a leisurely day-time stroll (even if these roads get a bit steep at times). The suburbs of Bo Kaap, Gardens and Tamboerskloof can all easily be accessed via Bree too, with taxis found throughout the area if you don’t feel up to taking a walk about. Once the sun has set meanwhile, the street transforms from a casual-chic hangout to a trendy bar zone that caters to a diverse crowd of locals and travellers. 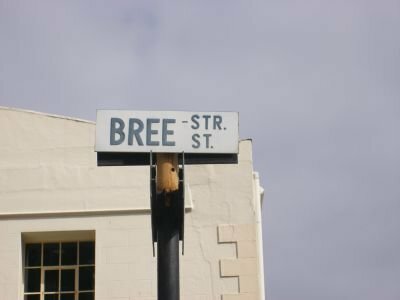 There are a number of historical landmarks to be found here too, along with plenty of other highlights that make Bree Street a street that is well worth exploring. * Orphanage Cocktail Emporium – 227 Bree Street. If you are looking for the best in artisan cocktails, elixirs & intoxications, Orphanage is a wizard institution – expect tomfoolery and high jinx each night in this trendy shake house. * I ♥ My Laundry – 14 Bree Street. Following the success of their smaller branch in Tamboerskloof, this truly unique laundry-dim-sum-wine spot is even bigger and better than before. Concept stores/restaurants/bars are not a new idea of course, but what could be better than having a bite to eat and a glass of wine (and even some live music if you’re lucky) while getting your laundry done? * La Parada Tapas – 107 Bree Street. The second branch to be opened (the first being located in Kalk Bay), La Parada is a Spanish style restaurant that serves well-priced tapas. Seafood is a specialty, while there are many other tidbits and dessert offerings also on the menu, plus a decent wine list. * The Odyssey Gastropub – 199 Bree Street. Think pub food, with an upbeat twist, and you will get the idea of what gastropubs are all about. The Odyssey has a good menu, a relaxed vibe, and decent prices. It also has TVs for sport watching, and plenty of space for larger groups and functions. * Lion’s Head Bar – 103 Bree Street. Monochromatic takes on a whole new meaning with this grey-themed bar. But colour (or lack thereof) schemes aside, it is a great little spot for a drink or two before heading out, with a quirky take on decor. * &Union – 110 Bree Street. Cape Town’s favourite microbrewery slash hangout, this place gets rather busy in the evenings. It is ideal for post-work drinks or for a good night out – along with a range of craft beers, you can enjoy some good food too. * Jason Bakery – 185 Bree Street. Formerly Jardine, Jason Bakery is the best place to get decadent pastries and other baked goods. It’s also a nice hangout spot during the day (perfect after walking about taking in the sights). Other note-worthy places to grab a bite to eat and perhaps a cold drink: HQ Restaurant (this popular steak house is on Heritage Square, which lies between Bree and Shortmarket Street), Orinoco and Clarks. * DVD Noveau – 166 Bree Street. If you’re looking for rare, old, classic, or just plain awesome movies, this is the place to find them. Unlike most DVD rental shops, this place has plenty of choices that go beyond block-buster genres and well into the avant garde. Great for a chilled night in! * Skinny laMinx – 201 Bree Street. Great for unusual, cute, pretty, funky and other such interesting gifts and finds, this shop sells a variety of goodies. Bags, home decor and many other items are all designed by owner Heather Moore. * Rhubarb Room – 227 Bree Street. Also perfect for gifts and fun finds, this store has a range of things on offer. It also makes for a decent window shopping stop even if you aren’t tempted to spend a few Randela. * John Jacob Interiors – 233 Bree Street. If beautiful pieces for the home is what you’re after, this showroom is sure to impress. Products are custom made, with an African take on glamour. * MardiGras – 190 Bree Street. This one-of-a-kind fancy dress shop takes costumes to a whole new level of fabulousness. Whether you need some bling for a special event or plan to go full throttle for fun, this is where you can go. * Revolution Cycles – 171 Bree Street. Looking for a bicycle? Want to try a fun, eco-friendly way to get around Cape Town? This is where you can go to find a range of great bikes. There is also a small boxing gym, a few hair stylists, a spa and many other facilities and stores to be found. Where is your favourite place to hang out, relax or take in the scenery? Share your thoughts on Bree Street in Cape Town below and let us know!